Projects | Goulburn River Valley Tourism — We Are BEST. Goulburn River Valley Tourism promotes and develops tourism for the four municipalities of Greater Shepparton, Mitchell, Murrindindi and Strathbogie and the economic, environmental and social benefits that can grow from it. Goulburn River Valley Tourism is the independent peak regional tourism body for the region, covered by the local government areas of Greater Shepparton, Mitchell, Murrindindi and Strathbogie. For the four municipalities, GRVT promotes and develops tourism and the economic, environmental and social benefits that can grow from it. BEST. has played a vital role in the development of all of GRVT's Heart of Victoria branding. 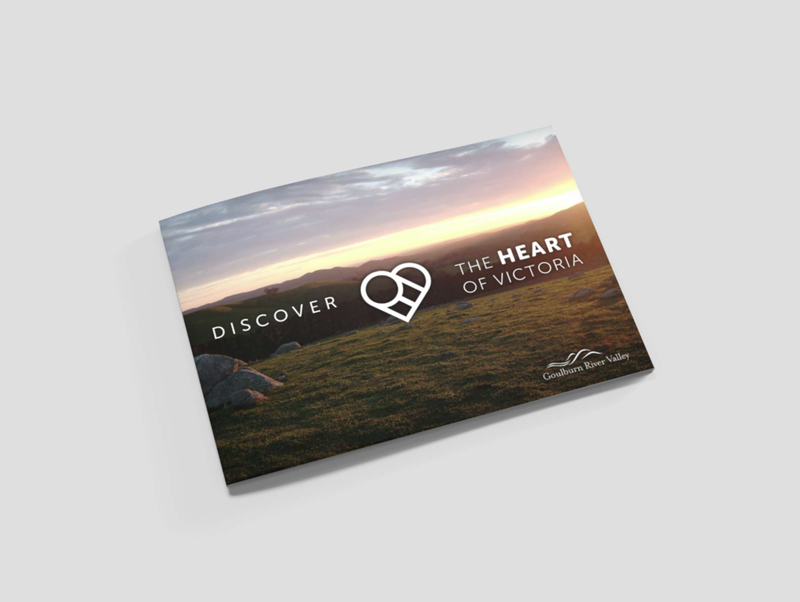 BEST's first engagement was to create the original Heart of Victoria brand lock up and logo and was soon after working with the client to develop a comprehensive style guide, a design for the Discover Heart of Victoria Planner, TVC's and radio campaigns. Most recently, BEST. have designed and completed the brand’s new website, heartofvictoria.com.au which provides a guide of things to do in the Heart of Victoria.